This post is aimed more to those focused on health goals versus performance so if that is you (and oh yes since we all have a level of vanity whether we admit it or not, this is for those looking to be a little more scrumptious nekked too). 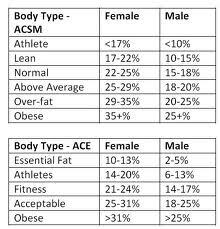 This post is also aimed at those fitness professionals who might only have access to bio-impedance scales that are often not accurate, or online sources that most likely are not accurate and maybe you don’t know or have access to a BodPod good set of calipers . Quite honestly, it is good to go back to basics even if you have some of the most hi-tech of machinery so you don’t lose your manual skills, plus it is good for the brain to keep it challenged. Okay so..you have this incredible goal of losing some inches and some body fat. Thank goodness that even the beginners I speak with are in tune with the fact that BMI and weight are not the ideal measurement of health or body composition goals. Can you say “progress has been made”? 😉 Alright, now beyond the fact that you have set the goal, where did this goal come from? Is it a pair of jeans that used to fit? Is it a weight/bodyfat place that you were at before and felt good? Is it a healthy goal for YOU? Do you know where you are at now and where you need to be? How long will it safely take to get you there? Feeling overwhelmed yet? I hope not and no need to feel that way as the first thing that you want to do is to find out where you are currently at and compare it with some healthy norms. You can worry about if you want to go lower after you reach the initial health goal so just focus on health first. 1. On a sheet I want your name, gender, age, height, weight, date and time. You can use a basic scale for your weight but be sure that it is the same one that you continue to use and that you weigh yourself at the same time too for accuracy purposes. 2. Using a basic “sewers” measuring tape (the soft ones that roll up) I want your friend to take your girth measurements from head to toe, okay neck to calf 😉 Neck, shoulders, upper arm, waist (at belly button AND about an inch below), upper thigh, and calf. Write this down on that sheet of paper.